Ronald van der Meijs: Newspaper article about solo exhibition in De Vishal, Haarlem, Netherlands. 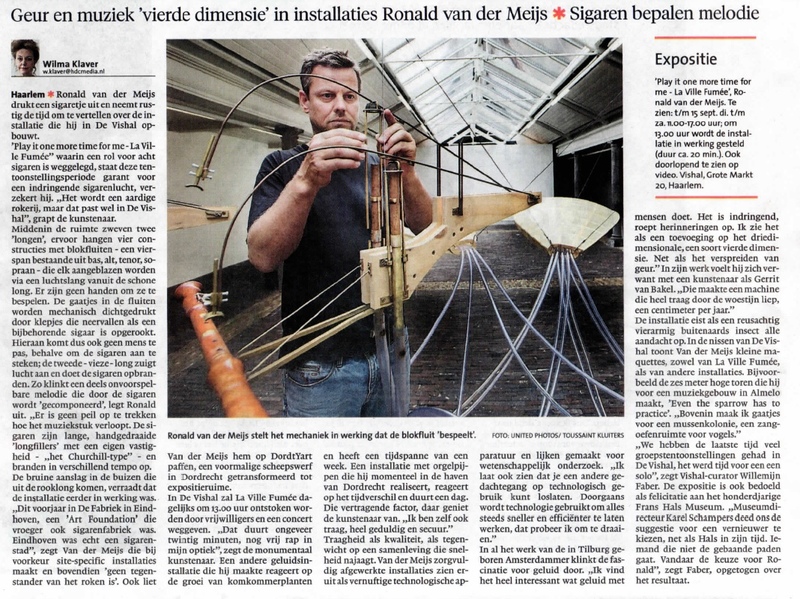 Newspaper article about solo exhibition in De Vishal, Haarlem, Netherlands. Article is in Dutch. By Wilma Klaver. Haarlems Dagblad. The solo show is already seen by some 8000 people after 5 weeks!